Have you ever tried the Belgian waffles at a Best Western Plus breakfast bar? Talk about delicious! They are light and airy; the maple syrup and butter soak right in making a delectable and slightly naughty calorie-wise, morning treat. I say, what are vacations for if not to gain a few pounds? Whisk together flour, salt, sugar and baking soda. Blend together buttermilk, egg, butter and vanilla. Pour wet ingredients into dry. Mix just until dry ingredients are moistened. 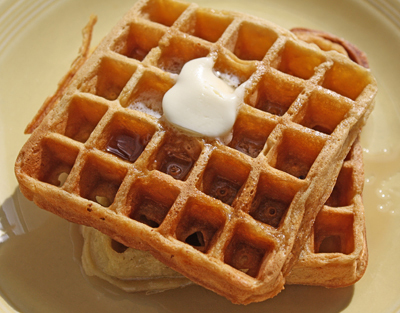 Pour batter into a pre-heated belgian waffle iron. Cook per waffle iron instructions. Makes 1 large waffle. 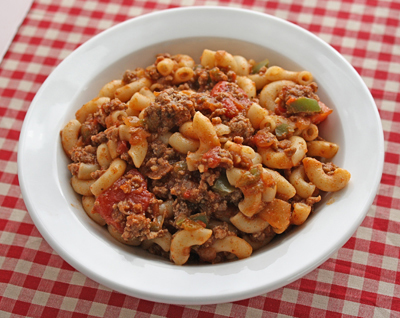 Here's an easy-to-do hamburger goulash recipe; ground beef, noodles, tomatoes, onions, and green pepper make a filling main dish perfect for cold winter evenings. It also makes a delicious addition to a game day buffet. Boil macaroni, set aside. Brown ground beef with onion and green pepper; drain off liquid. Add the remaining ingredients except for the macaroni. Bring mixture to a boil. Reduce heat; simmer, uncovered for 3-4 minutes or until mixture is heated through. Stir in macaroni. Dinner is served! Serves 6. I discovered this crock pot beef and noodles recipe in a Rival Crock Pot recipe book from the 1960s. This tasty main dish reminds me of true comfort food; the kind you might find at a local, small town diner. 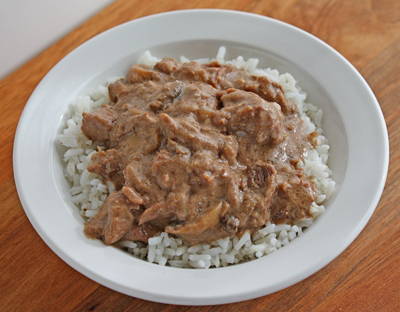 Combine all ingredients in a crock pot stirring together well. Cover with lid and cook on LOW (200 degrees) 8 to 12 hours or HIGH (300 degrees) 5 to 6 hours. Remove the lid for the last 45 minutes of cooking to thicken the sauce. Serve over noodles or rice. Enjoy!